Over the many years I have been coaching, I have come to see a pattern of how the coaching process works. Most of the time, clients come to me initially with a problem, or something that they want to improve in their life. That becomes our primary focus -- and then, there comes a point where the client experiences some relief and often feels their coaching experience has met their expectations. 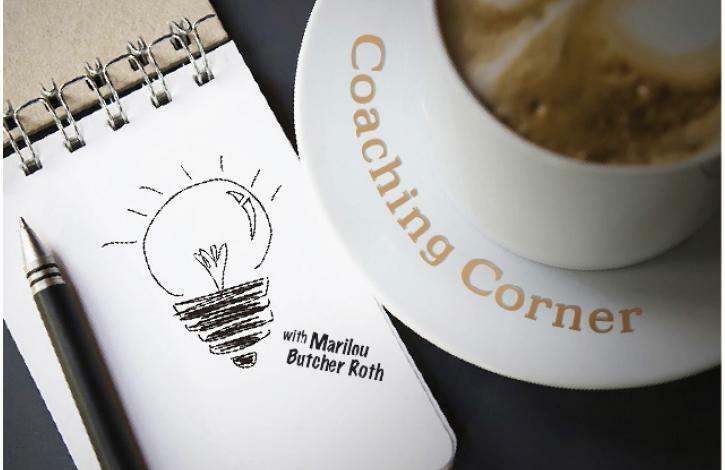 At this point, there is a shift and if the client remains open, they can experience the wide world of what is possible for them -- this is where I find the true magic and fun of coaching. We enter the realm of expansive thinking and living! We begin to explore their deepest desires and how to reach them. We look at any obstacles that may be showing up and how to move through them. Now, I want to make this more applicable to you. There are always things that come up for us that we would not prefer to be there -- this is life. The tricky part is how much time, energy and thought we put into these “problems.” Are you putting all of your attention there? Are you having countless conversations about what is happening, calling just the right person to get the response you want? Doing these things can keep you stuck in the problem and you may find it hard to move on. I know, there are some big issues that life presents to us -- losing someone close to us, for instance. These big life items fall into a different category, and although these are experiences that come up in coaching, these are not our focus for today’s blog. The type of problem I am talking about here are the ones that create irritation for you. It may be within your personal world or your work world. When this happens, rather than move your entire being into the problem, consider asking yourself “hmm, I wonder what I can learn from this experience,” or “I wonder why this is showing up for me now,” as suggestions. Get curious and do not lock yourself into the blame game. When you can consistently move yourself into this place, your problems will minimize, and you will find yourself less impacted by them. As you find yourself without countless problems to deal with, you may experience a new space in your life. This is when I would love to see you consider the idea of what is possible. What does life look like if you are living from your biggest self? What can happen if you bring your individual “super powers” into your world? We all have these super powers -- its what we easily and naturally do very well AND enjoy doing! Often, we can get into the rut of doing what we think we should or have to do, and go numb to the bigger part of ourselves. This week, pay attention to where your attention is going -- are you focused on problems...or are you ready to explore the unknown possibilities awaiting you?